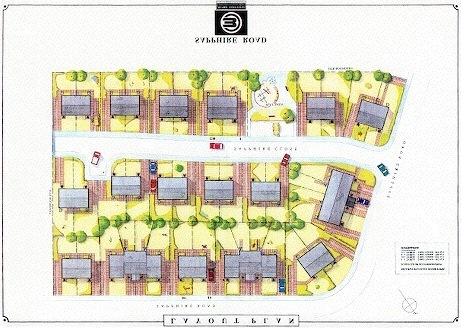 A development for Bellway Urban Renewal of 104 dwellings for sale on a former school site in the East end of Glasgow. A site sourced by the Practice, within an area in need of regeneration, the proposal received government support as it was identified as an important confidence boosting pioneer. The highly successful development lead to subsequent widespread regeneration elsewhere in the neighbourhood. The layout included play areas and maximised the site potential, utilising modified Bellway standard house types designed mainly as starter homes.